Jennifer Barber’s third poetry collection, Works on Paper, winner of the 2015 Tenth Gate Prize, shows us the power of lyric restraint in the hands of a poet who draws from the well of the small moments of motherhood as well as the sweep of Jewish history. Barber’s elegance is insistent, and ultimately revelatory. 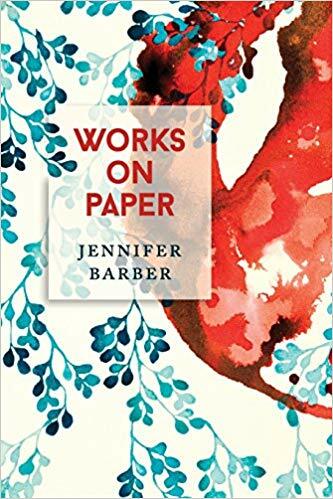 Formally agile and tersely emotive, the poems of Jennifer Barber’s Works on Paper–about a life of the mind, mature love, family, profound loss, and the poet’s affinity for the natural world–brim with with crisp imagery and sonic precision. To give over to the trustworthy intelligence of these poems, to inhabit the world as Barber sees and painstakingly recreates it, is to come away gratified, and graced by the poet’s immense and intricate gifts. Works on Paper is a brilliant and virtuosic book, unflinching in its incisiveness.